Enjoy the best inspirational, motivational, positive, funny and famous quotes by Anton Oliver. Use words and picture quotations to push forward and inspire you keep going in life! Sort of desolate, decayed, the smell of - I don't want to dramatise it - but death, you know. 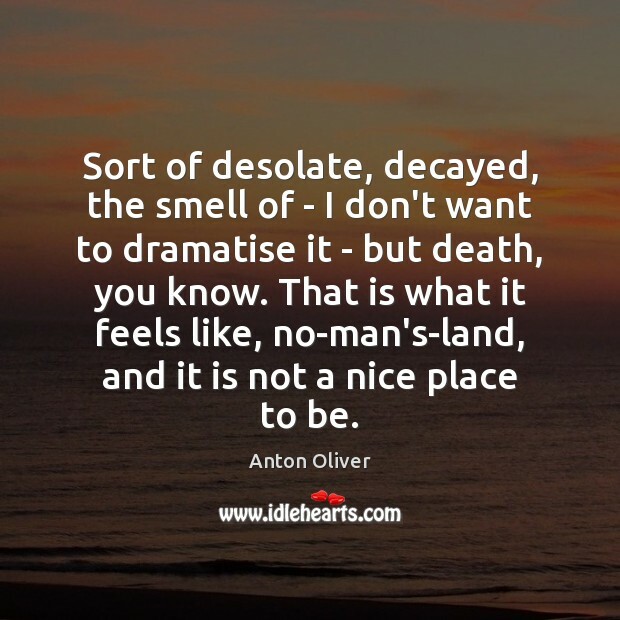 That is what it feels like, no-man's-land, and it is not a nice place to be.